Grae soon learns that a simple wish can reveal an unknown ability. Something more than curiosity spirals Grae back in time to seek the truth in the tragedy of a 200 -year-old murder. Along the way, she learns about history, happiness, and heartache in the lives of those who have lived on the property, including her own family. Her first journey reveals secrets that will lead Grae to further explore the legends of Graham Mansion. Open INT for Digital or US for Print. Fill out the form below to enter. Simon & Schuster has launched a self-publishing operation, Archway Publishing, contracting one of the most disreputable players in the business to run the show: Author Solutions. We’ll get to that distasteful link-up in a second, but first let’s have a look at what Simon & Schuster are offering prospective customers (i.e. writers). Fiction packages start at $1,999 and go up to $14,999. If you have written a business book, prices are saucier again: $2,999 to $24,999. While the upper end of the pricing spectrum is obviously shocking, some of you might think that $1,999 isn’t too bad if you are getting a proper edit and a decent cover. But what if you need proper editing? Fear not! Simon & Schuster is here to help. For just $0.035 a word, you can have a thorough edit of your book. Which sounds cheap until you realize that a standard 80,000 word novel would cost you $2,800. So, in actual fact, the cheapest package, plus their edit, will set you back $4,799 for a standard length book. As if that wasn’t enough, Simon & Schuster will also take half of your e-book royalties – after Amazon and the other retailers take their cut – and pay pennies for print sales. Not looking so reasonable anymore, is it. “But wait!” I hear you cry. 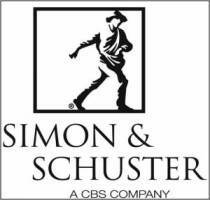 “Those Simon & Schuster editors might be pretty damn good.” Alas, Simon & Schuster won’t be lending any editorial expertise to this new operation; it will be run and staffed by… Author Solutions – the world famous repository of editorial talent. In fact, the whole operation has been outsourced by Simon & Schuster to Author Solutions. In case you aren’t familiar with them, let’s go over a little history. Author Solutions is the umbrella for (and owner of) several seriously shady self-publishing service companies (or vanity presses, if you prefer) – such as AuthorHouse, Xlibris, iUniverse, and Trafford. Each of these companies has managed to achieve disreputable status on their own, but together they have screwed over more than 150,000 writers. Going through the full history of their rip-off schemes would require a book, rather than a blog post, so I’ll stick to the highlights. Read the above list carefully. Take a moment to consider it. This is the company that Simon & Schuster has hired to run their self-publishing operation – a company which was purchased by Penguin in July for $116m. If you are unfamiliar with the charges above, this post will give you a little more detail. David Gaughran is a 34-year old Irish writer, living in London, who spends most of his time travelling the world, collecting stories. He is the author of the South American historical adventure "A Storm Hits Valparaiso" and the short stories "If You Go Into The Woods" and "Transfection" as well as the popular self-publishing guide "Let's Get Digital: How To Self-Publish, And Why You Should." After the events of Mark of the Witch, Jilly at last begins to breathe easier though her powers are still growing. But can she harness them in time to confront a new chain of events that threatens to change everything? Caroline has finally accepted her life as a witch, but when a stranger comes into her life she's forced to question her family loyalty. The sisters are thrown together to protect a young girl from the enemy determined to hunt her down. Can they save her -- and themselves? Jessica Gibson is offering up a signed set of her books (US), an ebook set of her books (INT), and a $10 Amazon GC (INT). The Blast starts 11/28 and ends 12/16. Stefan vs Damon: What Camp Are You In? CYBER MONDAY: Free books from favorite authors! Shuffled from place to place in the foster system, Morrigan doesn't know the meaning of home. Plus, she is different. She has power over fire, the ability to move objects with her mind, and glimpse into the future. Just when she believes her life can’t get any stranger, she discovers her true identity. Filtiarn, a knight with a dark past and a surprising secret, has been tasked with guiding the heir of Tír na NÓg through countless perils to be returned to her family. Once Morrigan has been reunited with her mother and grandmother, their triad can save the forgotten land of magic from being devoured by an ancient evil. Laura “Luna” DeLuca lives at the beautiful Jersey shore with her husband and four children. She loves writing in the young adult genre because it keeps her young at heart. In addition to writing fiction, Laura is also the sole author of a popular review blog called New Age Mama. She is an active member of her local pagan community, and has been studying Wicca for close to eight years. Her current works include Destiny, Destiny Unveiled, Phantom, Morrigan and Player. Morrigan Prize Pack Includes - Signed copy of the book, triquetra pendant, two boxes of incense, fairy ornament, Morrigan's enchantment bath salts, and three crystal points. Open to US/Can residents Ends Dec 9. Here's hoping everyone enjoys their day with family and friends. 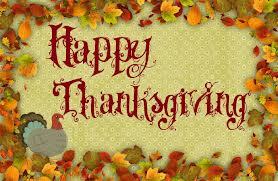 I'm so thankful for all the wonderful people in my life. 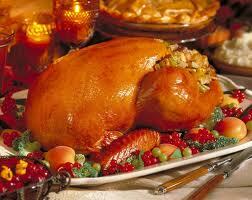 And, of course, can't wait to eat some turkey! What kind of #VAMPIRE do you prefer? Want to win a copy of THE SILVER CROSS?